Follow the path of Faustina on her journey to sainthood. 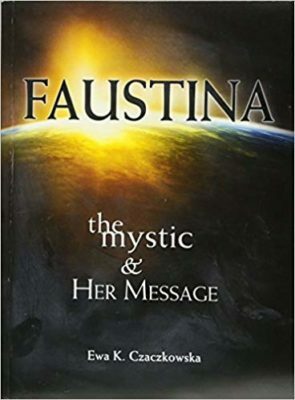 Award-winning author and historian Dr. Ewa Czaczkowska tenaciously pursued Faustina to ultimately produce a biography that masterfully tracks this mystic’s riveting life and her unique call from Jesus. More than 70,000 copies of the original Polish edition were sold within three months of its release. Now licensed for English distribution exclusively through Marian Press, Faustina: The Mystic and Her Message provides new details about this remarkable woman and rare photographs of her. In this biography, get to know the real Faustina, her message, and her mission.